Smartphones generate significant information about their users. User context, including location, activities, and preferences, can be inferred through smartphone data. 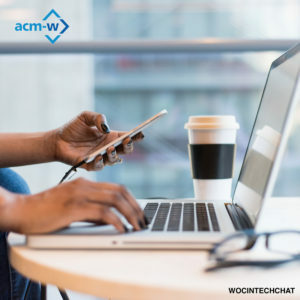 In this talk, Preeti Bhargava will give an overview of common techniques and approaches used for modeling user insights from their smartphone data. Preeti will focus on techniques and challenges of indoor localization and applications in activity recognition. In this discussion, Preeti will describe the preparation needed for going from being a Computer Science undergraduate to a Ph.D. program. She will go into detail on what graduate school is like for Computer Science students including key milestones and how to achieve them. Post-Discussion Chat: Join Preeti Bhargava & Lori Pollock for a chat to continue the discussion about graduate school applications and admissions, meet fellow students, and share your experiences. 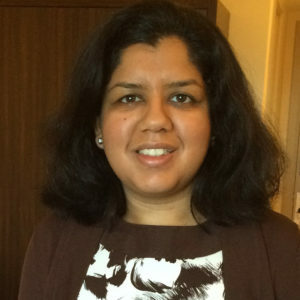 Preeti Bhargava finished her PhD in Computer Science from University of Maryland, College Park in December 2015 where she was advised by Prof. Ashok Agrawala. 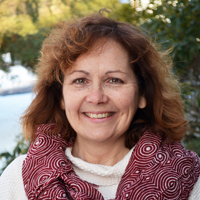 Her research interests include pervasive and ubiquitous computing, context-aware computing and systems, mobile systems and applications, user modeling, personalization, recommender systems, and Internet of Things. She has published several papers at premier conferences such as WWW, IUI, Mobiquitous and UbiComp. During her doctoral studies, she interned twice at Samsung Research America where she worked in recommender systems and IoT. Preeti was also a visiting researcher and intern at Xerox Palo Alto Research Center (PARC) where she worked in user interest modeling and personalization. Preeti is the proud recipient of the UMD Ann G Wylie Dissertation Fellowship, the UMD Dean’s Fellowship, the Palantir Scholarship for Women in Technology and several conference travel grants. Prior to this, Preeti was a Senior Member Technical Staff at Oracle, in the development team for Oracle Web Services Manager. Preeti obtained my Bachelors of Engineering degree in Information Technology from Delhi College of Engineering, Delhi, India in 2007.